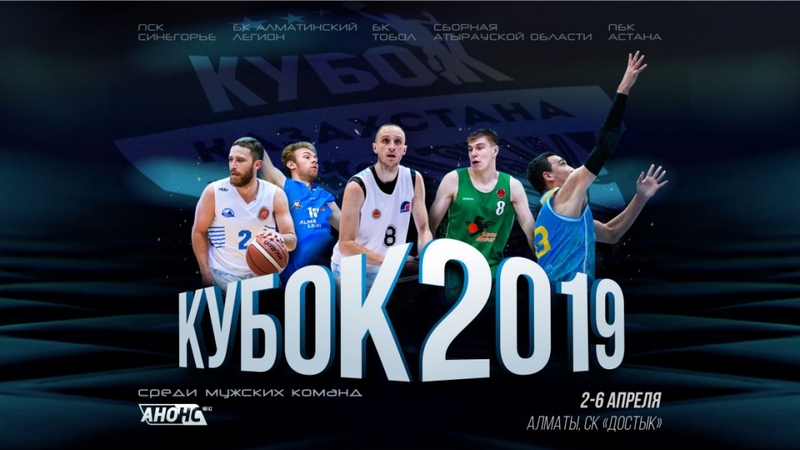 From April 2 to April 6, in Almaty, at the court of the Sports complex «Dostyk», the Basketball Cup of the Republic of Kazakhstan among the men's teams of 2019 will be held. Five teams of the National League will be playing in the tournament: Presidential basketball club «Astana», representatives of the southern capital Almaty «Legion», West Kazakhstan basketball players of Atyrau region, Kokshetau basketball club «Sinegorye» and Kostanay «Tobol». The tournament will be held on the system of a smooth championship, without a final: teams will play in 1 round of one game with each other. At the end of all matches, the teams will distribute the final places from the 1st to the 5th.